A new year is about to start. Are you ready? Want to start your own business someday? Or better serve an organization you’re part of? The College offers a new workshop series called the Medallion Program that can help students become better leaders. 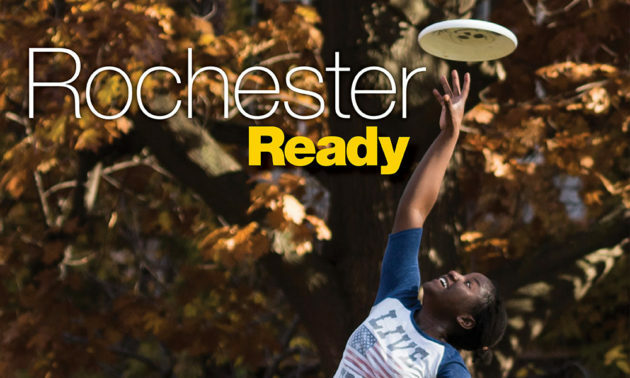 Run by the Rochester Center for Community Leadership in collaboration with the Office of the Dean of Students, the program aims to help college students build the leadership skills—such as confidence and resiliency—needed to run student organizations or to enact change in the community. The program is open to all University undergraduates. Students may pick and choose from among the workshops. 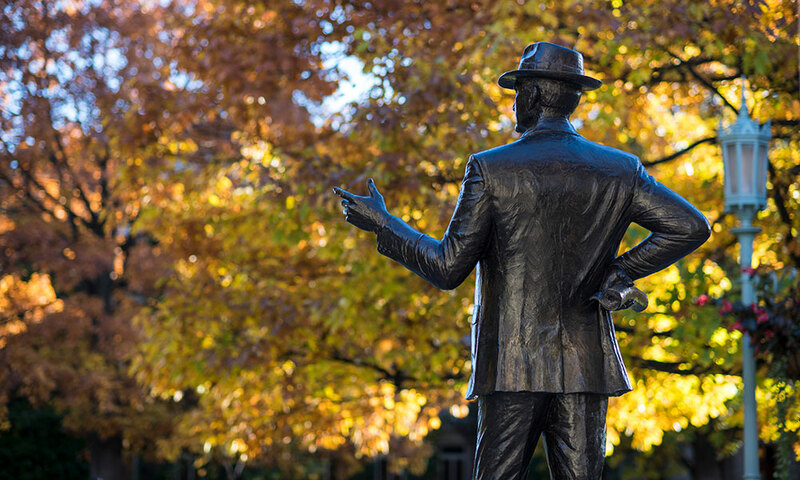 But those who complete the entire three-level program can opt to be inducted into the Medallion Society, which enables them to plan their own leadership programs and become peer facilitators or “leadership ambassadors” on campus. Like Goodman, Brian Filipiak ’20, a geological sciences major from Glenview, Illinois, says the program has helped him develop relationships with other student leaders on campus. Workshops for the Medallion Program are offered each week, starting in the beginning of the fall semester. Look for a list of the Medallion Program workshops. Slingshot to Success is a leadership program run through the Rochester Center for Community leadership and held during Orientation. Upper-level mentors lead discussions and workshops about the benefits of getting involved in the College community during the first year and the importance of living a balanced life while on campus. Mentors will share how their leadership roles and initiatives have helped shape their college experience and personal growth. Discussions are facilitated to present first-year students with the chance to share thoughts, concerns, and questions with upper-level students, who in turn address these areas by sharing their personal experiences. Workshop topics include goal setting, time management, procrastination, exiting your comfort zone, and diversity. The program is offered on a first-come, first-served basis and has space for 100 students.